With the establishment of the Shenzhen Geim Graphene Research Center in early December, the southern Chinese city is now home to the laboratories of six Nobel laureates. The city has world-class research centers and labs named after and led by Nobel laureates such as Robert H. Grubbs, Shuji Nakamura and Barry Marshall, all pioneers in global science, and technology trends in energy, materials, optics and medicine. “China is one of the most active countries in the research and application of graphene and Shenzhen is the most innovative and dynamic place in China. Here, the whole innovation environment and industry development trend make me more willing to participate,” said Andre Geim, winner of 2010 Nobel Prize in Physics. As the thinnest, hardest material with the best thermal and electrical conductivities known so far, graphene is bringing revolutionary changes in the manufacturing of semiconductors, PV, lithium batteries, supercapacitors and electronic displays. As more countries become involved in the graphene industry, Geim is betting the future on Shenzhen, shifting his work focus here by personally directing research, industrialization and talent at the lab. Four decades ago, few could imagine that this tiny fishing enclave would become a hub for tens of thousands of startups and some of China’s most successful tech companies. 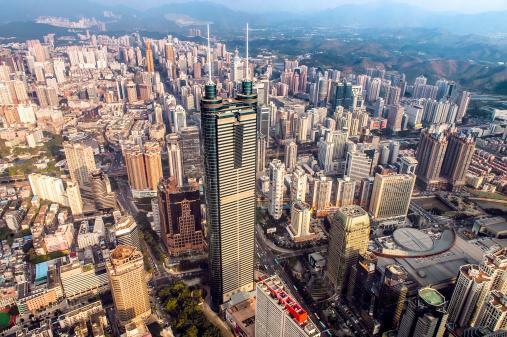 In Shenzhen an average of 48 patents are created every day and one in every 63 people here owns a tech company, according to the Shenzhen intellectual property office in 2016. 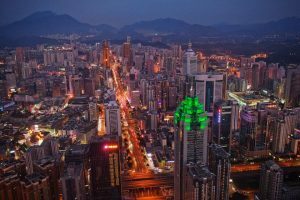 Shenzhen is absorbing new ideas and cutting-edge technology, with many top professionals working in the city. In 2013, the city rolled out a plan to earmark 1 billion yuan (152 million U.S. dollars) every year from 2014 to 2020 to support high-tech industry. Four years later, the city vowed to build ten Nobel labs to make new breakthroughs in industries such as chemistry, medicine, photo-electricity, graphene, the micro-nano field, robotics and 5G. With privileges in manufacturing and over 1,600 scientific laboratories, Shenzhen has become an incubator for turning dreams into reality. “We have international first-class technology, then there is such a cost advantage of China’s production and we can reduce the price while guaranteeing the quality of the product,” said Barry Marshall, an Australian scientist and Nobel laureate in Physiology or Medicine. For Geim, the sound R&D environment in Shenzhen also helps close the gap between academia and industry. Days after the inauguration of the Shenzhen Geim Graphene Research Center, two other research organizations, joined by Nobel-winning scientists Barry Sharpless and Michael Levitt, were unveiled in the city. “Nobel scientists have chosen China and we choose them, too. We hope they can help us promote innovation and development with quality education, advanced research and industrialization,” said Du Jinmin, professor with the school of economics at Jinan University. Science-Technology, Translations Nobel, Shenzhen, Technology. permalink.